In 1976, photographer Jim Britt was at home in LA with his two young daughters and, realising they were in a playful mood, decided to recreate a ‘high fashion photo shoot’ with them. Jody and Melendy assumed the requisite pose – back to back, faces concentrated on mirroring a subdued pout – and managed to hold it for all of a couple of seconds before they both broke into peals of laughter. Britt, of course, snapped away all the while. That issue of People magazine, consequently, fell into the hands of a member of Comme des Garçons’ PR team, who, similarly captivated, recognised in the shots a shred of the gritty originality that permeated all of the visionary brand’s campaigns at the time. She reached out and, within the year, the laughing image – ostensibly the series’ champion shot – was being printed in magazines and on billboards around the world for Comme des Garçons’ A/W88 campaign. This week, Burley launches a self-published book dedicated to these images. Entitled SISTERS by Jim Britt, 1976, the 24-page document, art directed by Jamie Andrew Reid, comprises a series of unpublished outtakes, a double-sided poster, new interviews with Jody and Melendy themselves and a short statement from Britt, too. There’s also a series of three double-sided posters, available to buy now online. 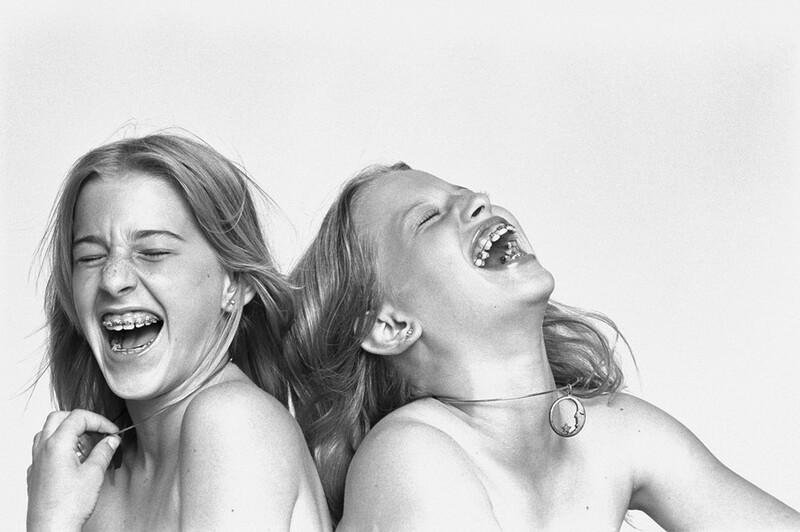 SISTERS by Jim Britt, 1976, and a limited-edition poster set, are available to buy online now. The book launches from 6–8pm on October 4, 2018, at Dover Street Market London.